Bidding an environment friendly adieu to the elephant god. – Search for Water! We all love our Ganesha and we are happy to celebrate him in a grand way every year across the country. End of the celebration we bid farewell to the idols of the elephant god by immersing them into water bodies. The immersions of the Ganesh idols were not environmentally detrimental until they were clay idols with no paint or glitter. The Ganesha idols of the present day are made of Plaster of Paris, quoted with layers of synthetic paint and several other non-degradable decorative materials. In our joy of celebrating the Ganesha we forget all environmental norms and trash our water bodies with inexcusable amounts of non-degradable trash. This sparks off a debate on religion vs environment, can anything be done to curb environment pollution caused by religious celebrations? Celebratory, ceremonial waste of the modern day is nothing close to the natural options used 2 to 3 decades ago. The waste generated today is toxic, non-degradable, and expensive to clean and treat. The Plaster of Paris forms a thick layer in the water bodies thereby steadily contaminating the already polluted waterways of modern India. This leads to several health hazards, loss of biodiversity and most importantly pollutes the water habitat in some cases beyond repair. All celebrations pertaining to any religion should sincerely take into consideration possible environmental damages. Preventing the damage is an easier option compared to the one curing it. Not all efforts can just be proactive, there needs to be a reactive approach to tackling water body pollution because of POP idols. One such an effort is the massive voluntary clean up drive organized by the Environmentalist Foundation of India (E.F.I). Across 11 cities in the country E.F.I organized a voluntary drive to remove POP idols from water bodies. An annual effort aimed at clearing of POP idols from Lakes-Rivers and Shoreline, this attracts several volunteers to bring a change. India’s next gen is optimistic-realistic and action oriented. The volunteers and coordinators of this multicity clean up were all in their late teens or early 20s. These young nation builders had no social divisions in mind and were only focused on reviving freshwater bodies. Their idea was to clear out the POP Idols and other celebratory non-degradable waste. 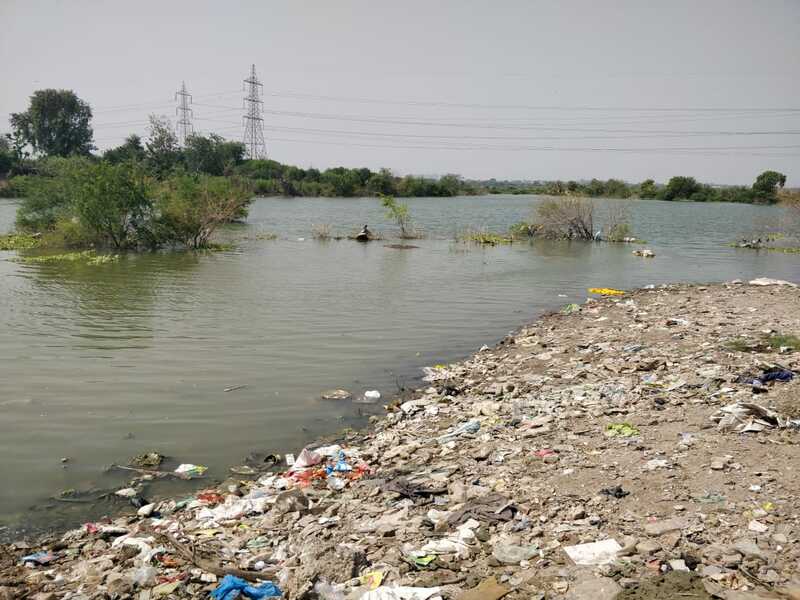 Coimbatore: Kumarasamy-Muthannan Lake Clean Up saw 1-ton non-degradable trash being removed from the water body in 2 hours. Young engineers Anandh and Ashwath who led the initiative have been pioneering the cause of reviving this lake for over 2 years now. Delhi: Portions of the Yamuna Bank were cleared of nearly 2-tonnes of non-degradable trash by volunteers. Miss. Riya in her third year of college spearheaded a massive effort in roping in volunteers from all walks of life to ensure a collaborative effort in cleaning the water body. 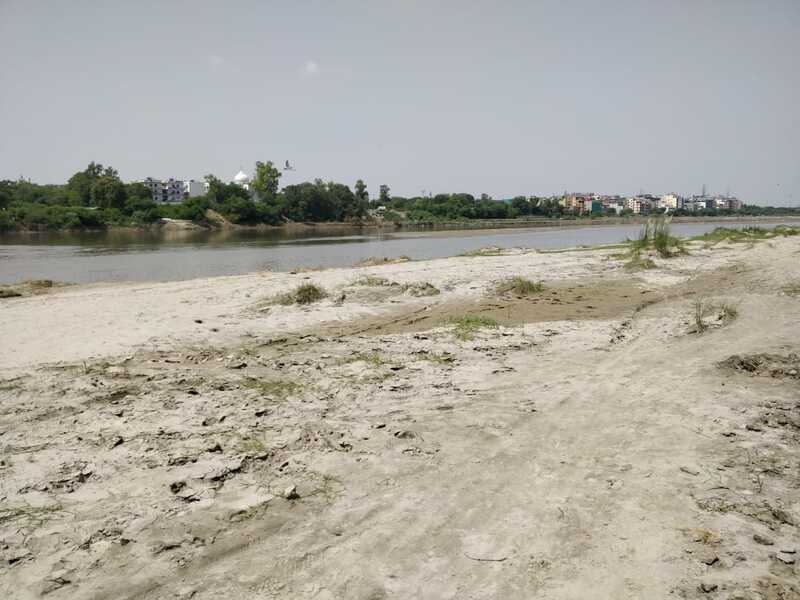 Pune: Gaurav, a student-resident of Pune has put in sincere efforts over the months to ensure that the residents of this knowledge hub proactively volunteer towards reviving the water bodies. 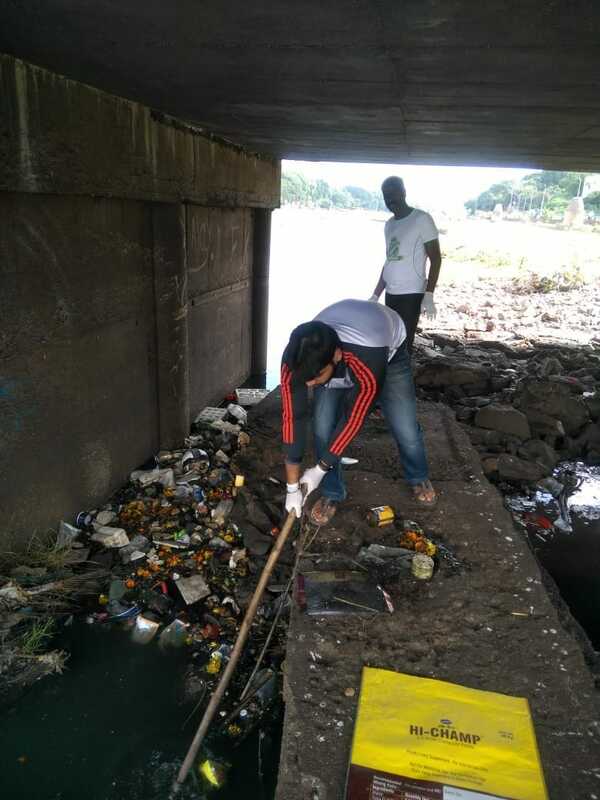 His sustained efforts ensured that 1 ton garbage from the Mutha River banks were removed with support from several volunteers. Hyderabad: The IT nerve center of India is also home to some unique lakes. Saathvik, a young nation builder has been working closely with resident welfare groups in Hyderabad city to ensure the revival of the Kapra Lake in the city. 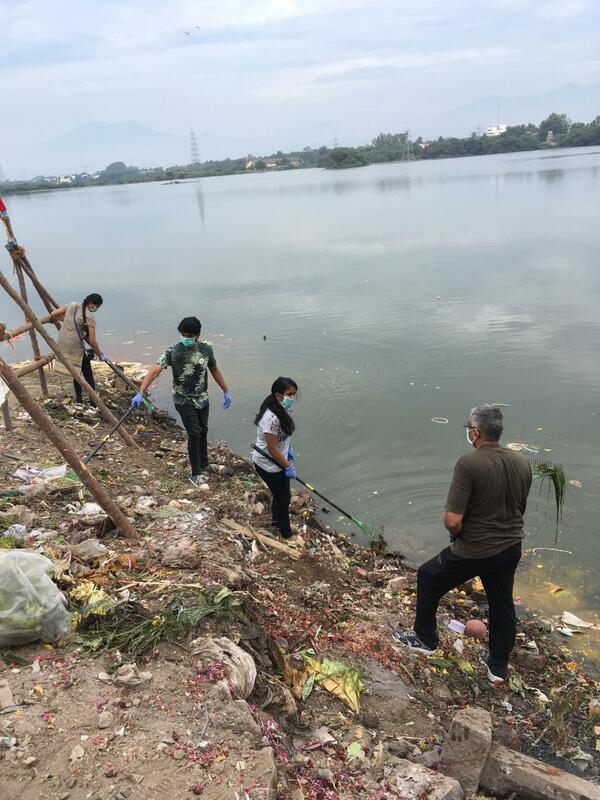 His efforts duly supported by adults of the locality saw a sincere effort to remove POP idols from the immersion ponds established in the lake. 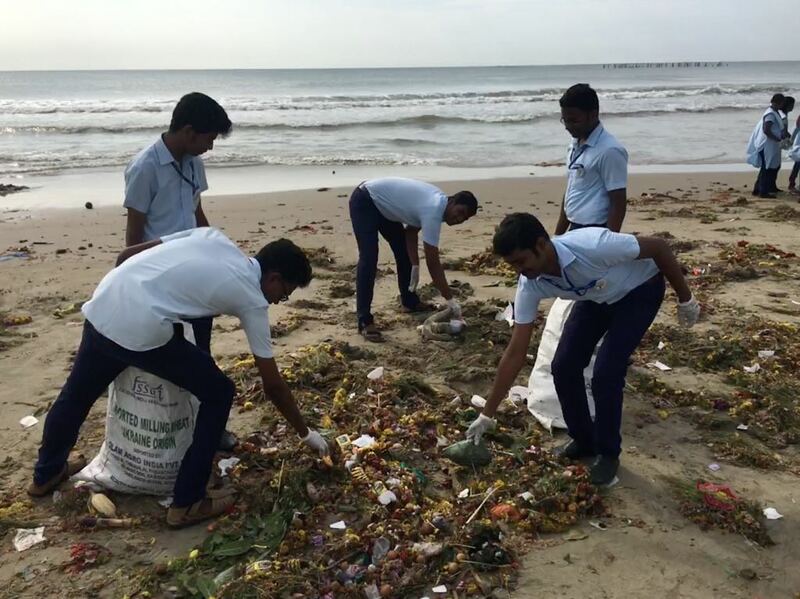 Pondicherry: Madhan, a young environmental engineer supported by a visiting tourist Zorian alongside Vimal a nature enthusiast from Pondy ensured that many residents of the town extended their support in clearing all celebratory waste from the Rock beach. The joint effort ensured clearing of 2 ton garbage from the beach. Bangalore: Lalith Rahul is as worried as all Bangalore citizens about the city’s lakes. He just doesn’t stop at being worried, he has initiated a campaign of cleaning the Devasandra, Kithaganur lakes. 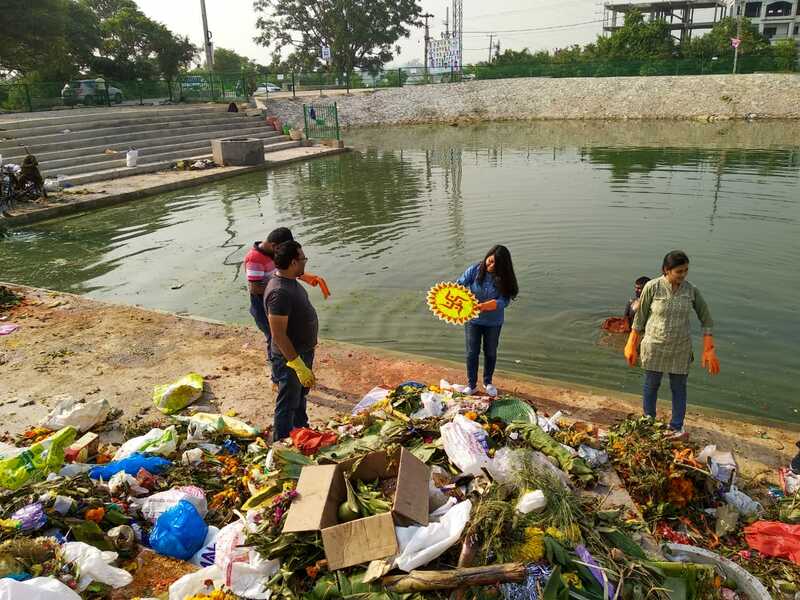 The Ulsoor lake being the hotspot for POP immersions saw Rahul and his team of volunteers gear up to remove close to half a ton of trash from the prestigious lake in the city. Chennai: The Foreshore Estate beach in Chennai was a buzz with all immersion efforts. 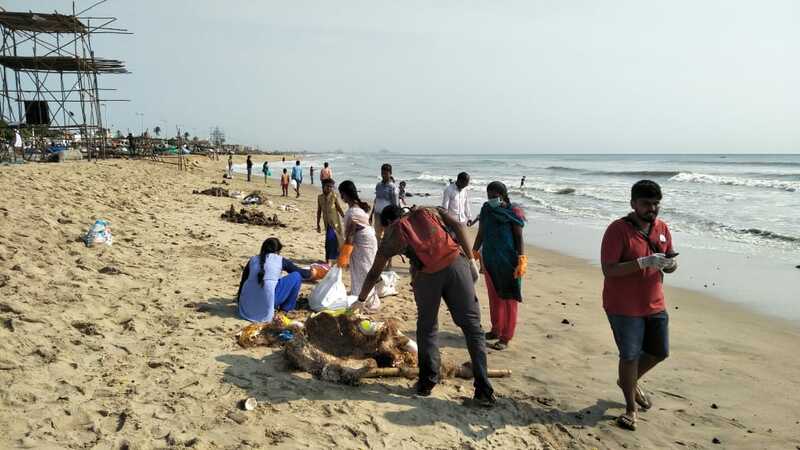 As the idols were immersed a team of young environmentalists such as Shri Krishna, Shanmuganathan and Aravindh Krishnan with a large supporting team of volunteers ensured the removal of nearly 2 ton garbage from the pristine beach. 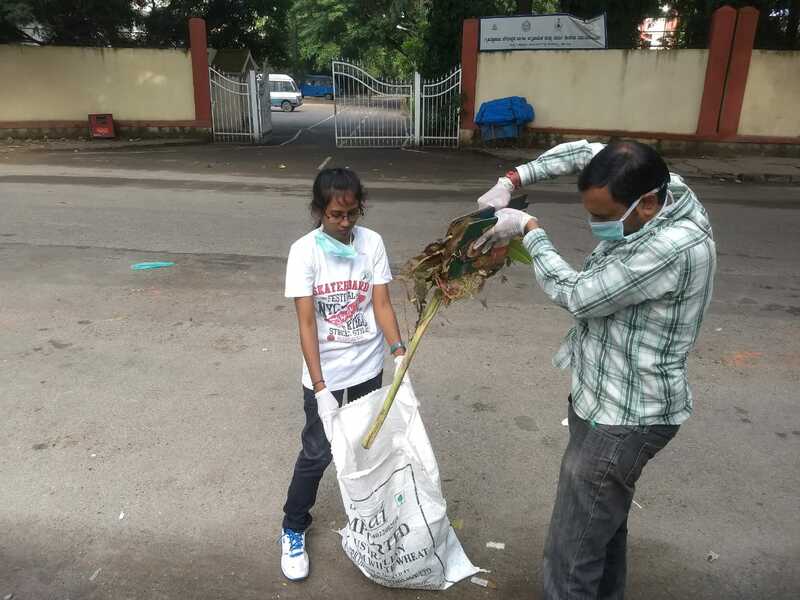 The municipal corporations, conservancy workers and nature enthusiasts came together in an effort to clean up their city post the celebrations. Their love for Ganesha is greater than those who used the POP idols. They removed the POP debris from the water bodies and retained the Ganesha in their thought beyond prayers. A true celebration of the Ganesha was in helping clean up the celebratory waste left behind. These young nation builders have just shown us the way for a greener, cleaner tomorrow.